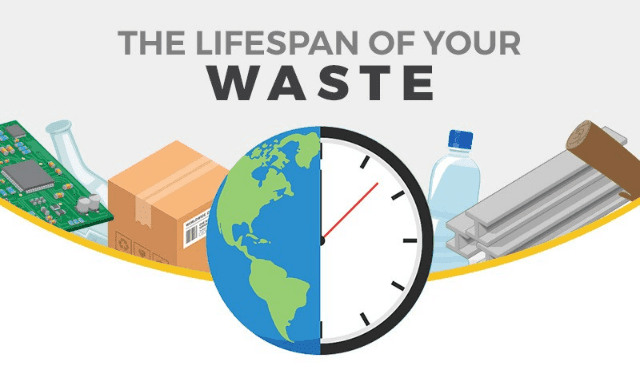 The Lifespan of Your Waste #Infographic ~ Visualistan '+g+"
Most of us don’t think twice when we throw out our waste. But what actually happens to it once it has hit the bottom of the bin and gets taken away. This infographic from Tradeskips shows you what bits of trash actually get recycled, compared to how much could be recycled. Plus how long that process is and basically, how long that can of Coke is going to be lying around for.